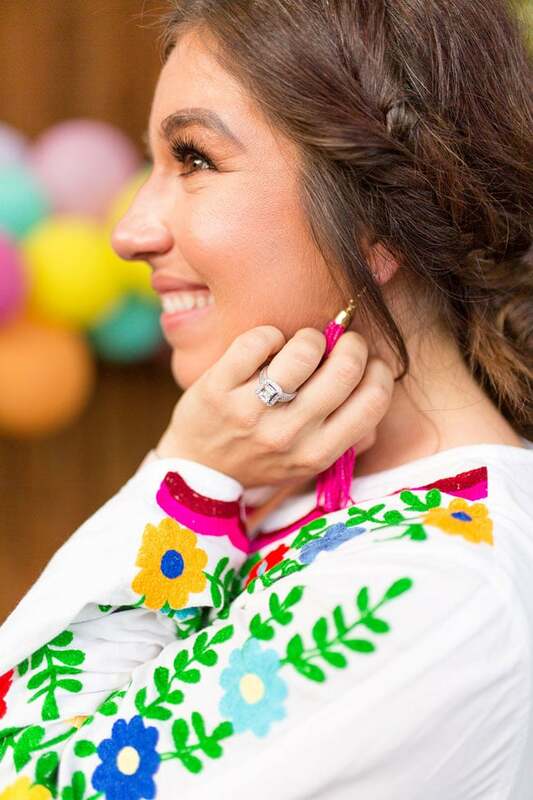 A Fiesta Bridal Shower is all full of fun and color and this one did not disappoint! We just love the gorgeous theme for this festive couple! This Fiesta Bridal Shower was full of family, laughter, and of course, margaritas! This couple embraced their culture to the max and definitely did not disappoint! We absolutely love all of the color, fun and of course, the love, that was shared at this special event. The bride-to-be’s Hispanic heritage has been an important part of her relationship with her soon-to-be groom. They even got engaged in Mexico! 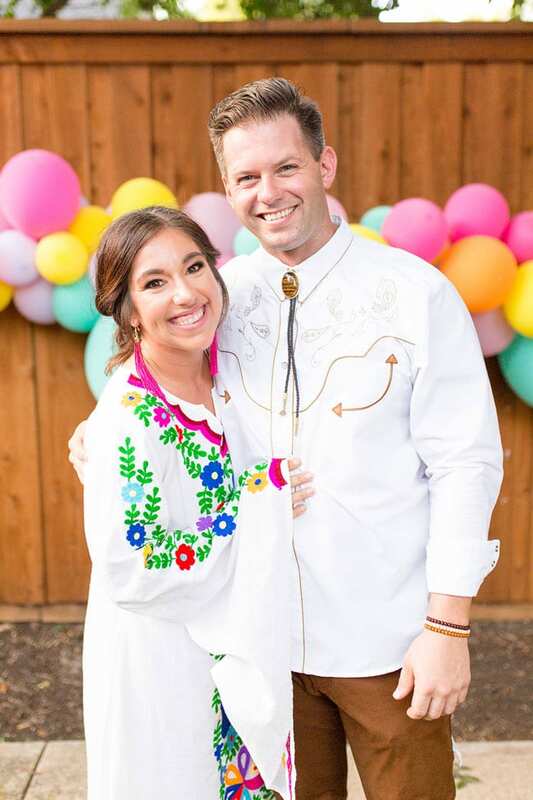 Therefore, the Fiesta Themed Bridal Shower was a perfect fit for this sweet couple. 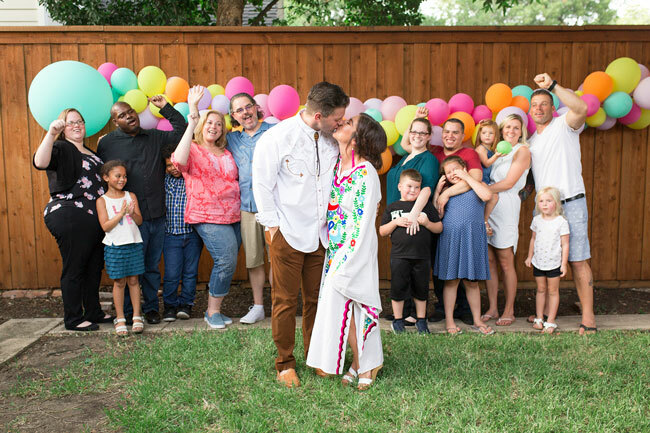 We love the Fiesta Couples Shower, which felt more like a big party than a formal bridal shower! All of the guys were able to mix and mingle, while the women celebrated the upcoming wedding with traditional Hispanic flair! All of the guests walked into the Fiesta Bridal Shower and were greeted by this fun and colorful sign. We just love the festive vibe that was established right at the front door. 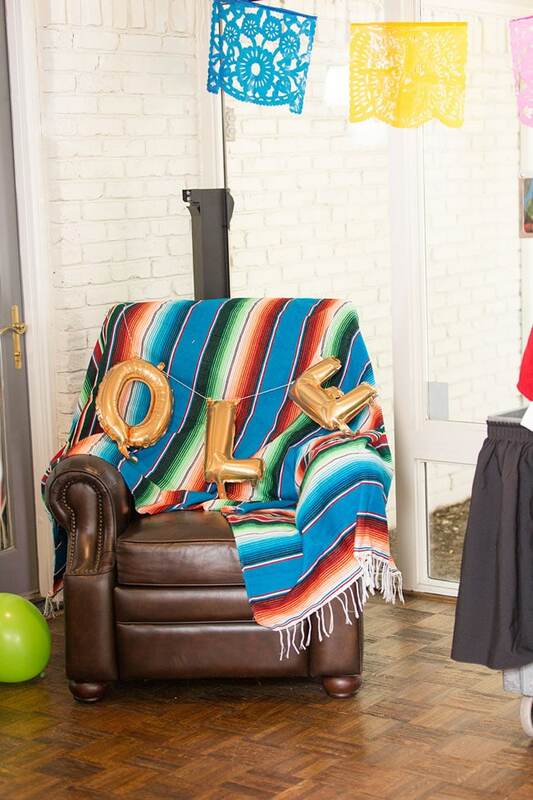 Everyone knew this was going to be one memorable Mexican Themed Couples Shower! 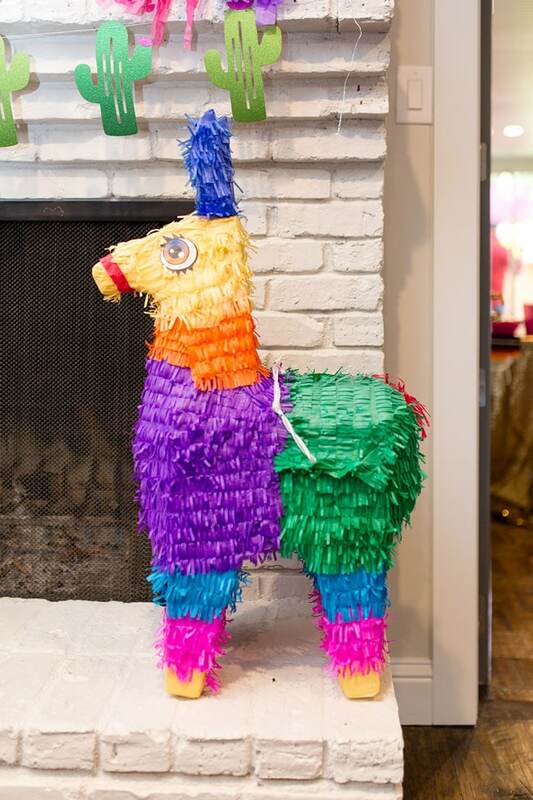 The hostess, a family friend, decorated her to home to fiesta perfection! When you walk through the front door with decor like this you know it’s going to be festive and exciting once you get inside. The Fiesta Bridal Shower definitely was not going to disappoint! 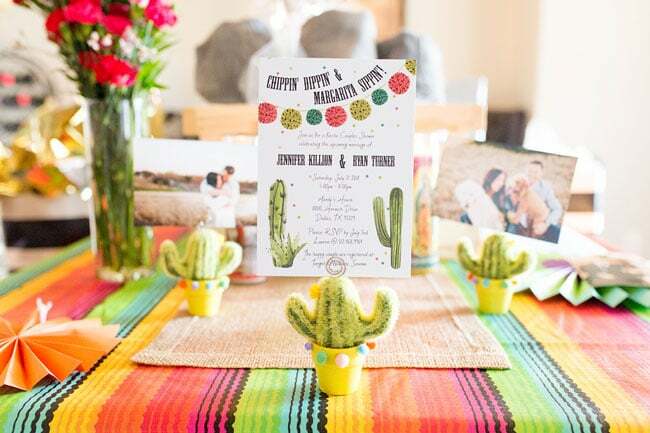 There was a very sweet table that welcomed all of the guests to the Fiesta Themed Bridal Shower, with fun engagement photos of the happy couple, which adorned the top of the table. 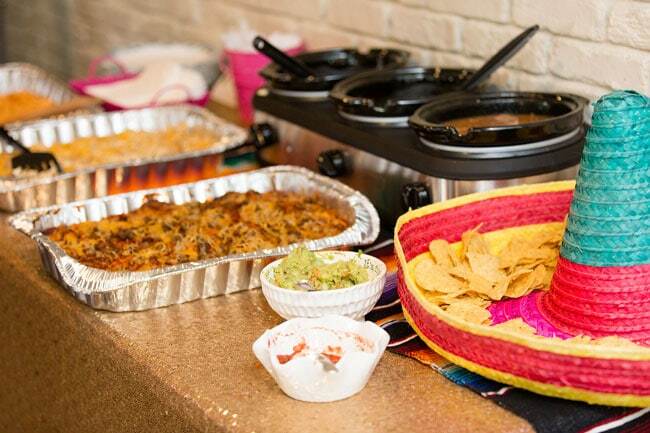 Other Mexican decor items were incorporated into the table, as well, which ended up being a huge hit! 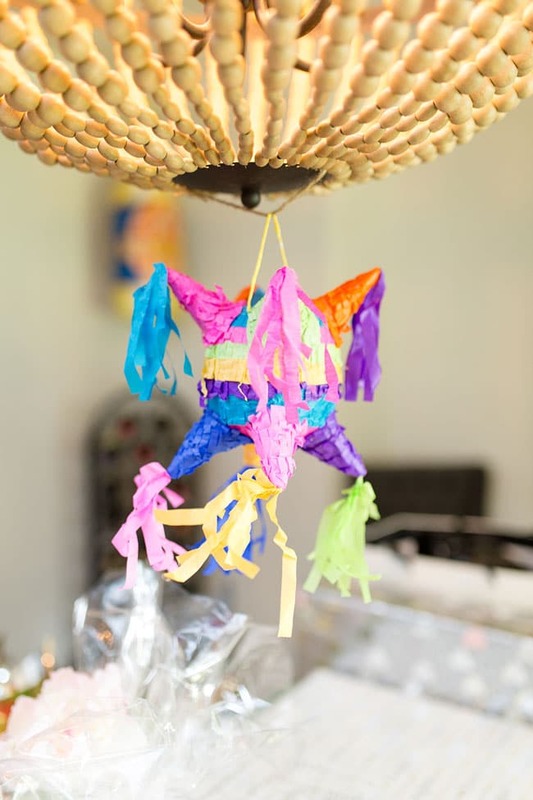 Papel picado hung from walls and doorways, paper lanterns lined the walkway to the door, and piñatas brought life and color to the party! Everywhere a guest looked, there were Hispanic theme decor that set a fun and joyous tone to the entire event. 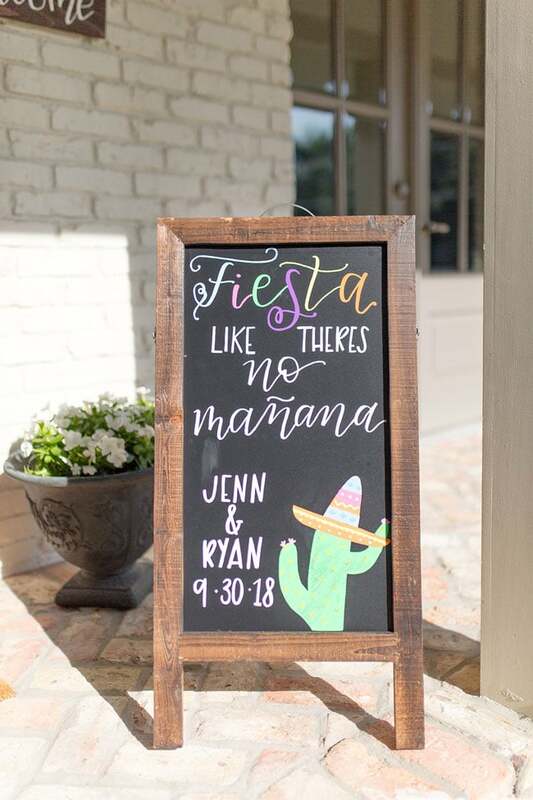 We just love the cute puns that were used throughout the Fiesta Bridal Shower, from the front door sign, to this cute banner that was used above. You can just tell that this is a fun couple who is ready to spend the rest of their lives together as soon as they can! The Fiesta Bridal Shower Invitations that were sent out to the guests promised a good time would be had by all! What a fun design that was created by Whimsical Flair Shop! 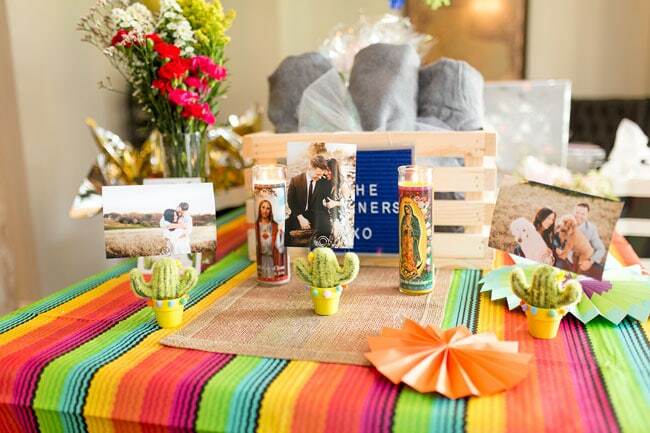 It was pretty clear that this Mexican Themed Couples Shower would be one for the record books. Guest tables were simply classic, yet the color and beauty of the flowers and table runners set things off perfectly! 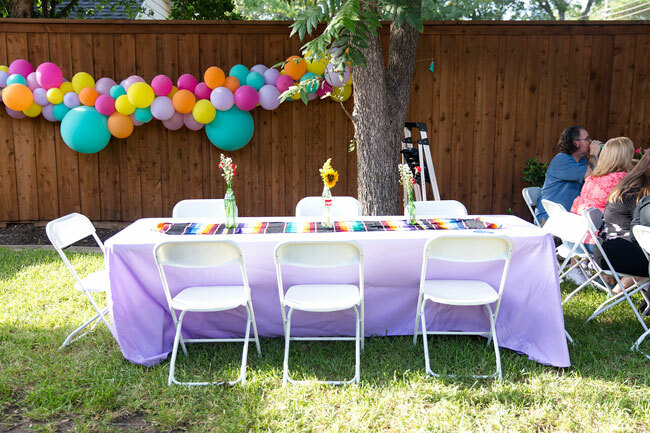 We also love the balloon garland that was found on the back fence in the backyard. 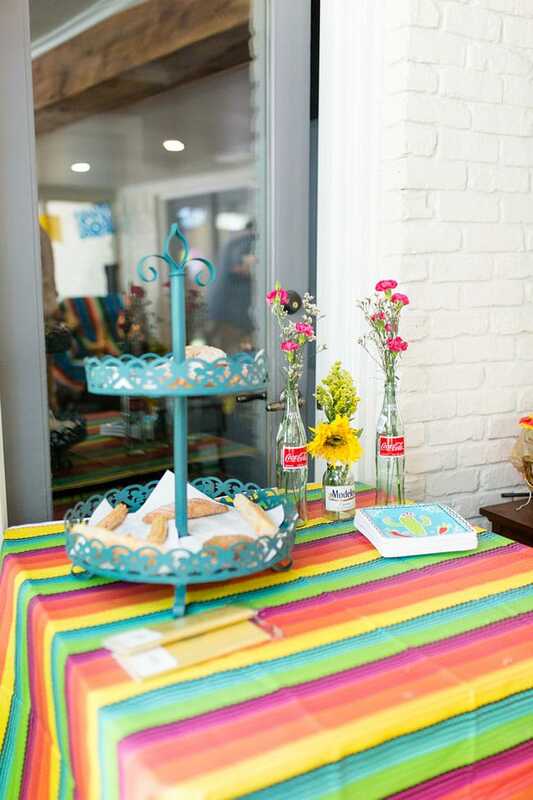 Talk about the pop of color that blended well with the rest of the Mexican themed decor! We just love this fun, colorful tablecloth that was used on one of the tables. 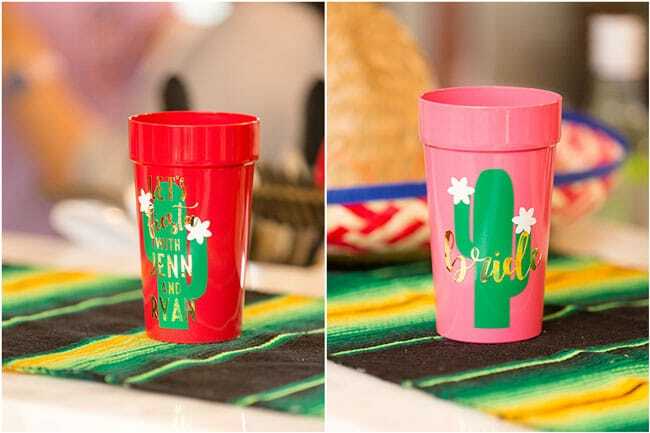 So many great Fiesta Bridal Shower Ideas were used throughout the event that kept things fun and fresh for the entire day! 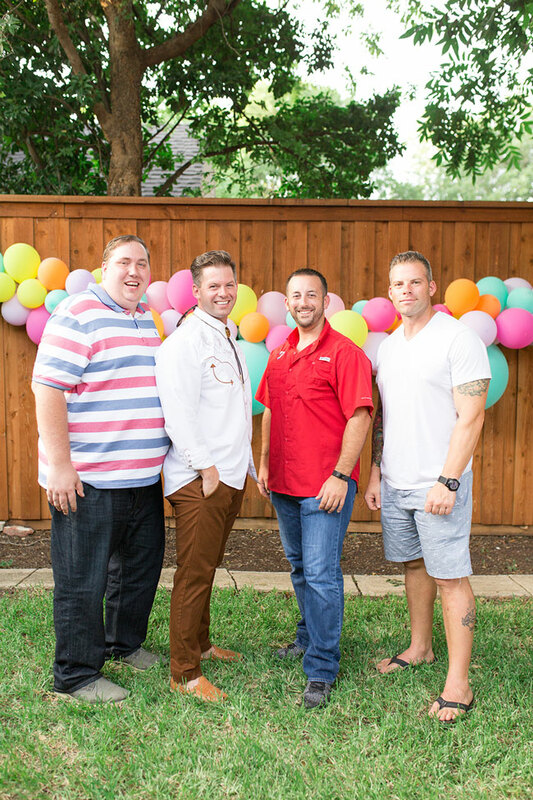 Dallas Event Rentals provided the amazing margarita machine that was a hit for the men and women, alike! 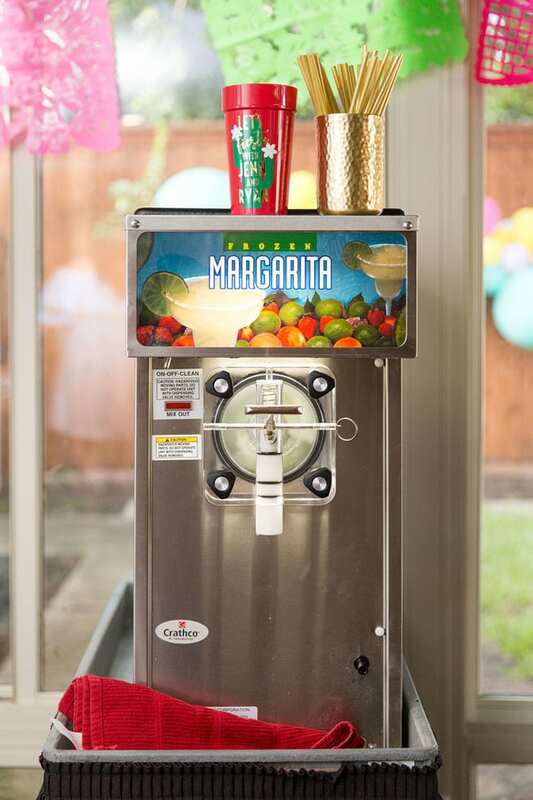 Who wouldn’t want a margarita machine at any event they happen to be hosting?! Everybody was all set as soon as they wanted another drink, as it was ready and waiting for them! 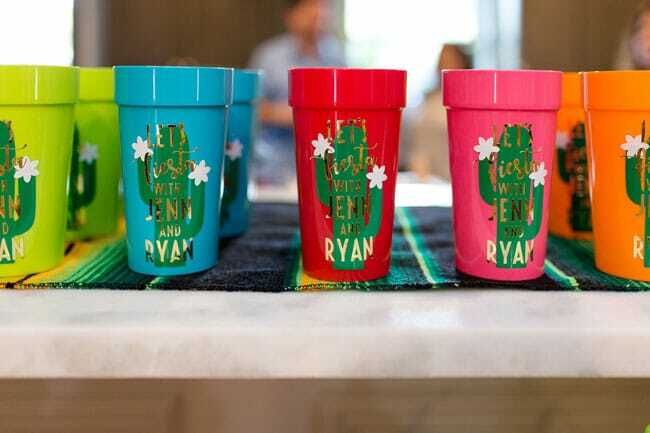 Margaritas were served in the cutest custom cups designed and created by one of the bridesmaids, which was a huge hit! 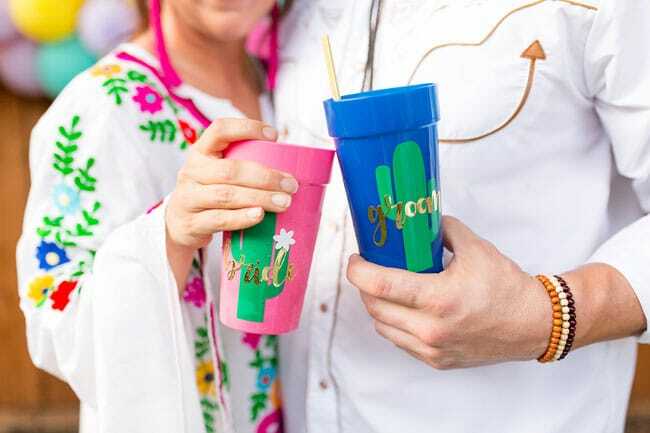 Just look at how cute these margarita cups are for the Fiesta Bridal Shower, with special ones for the bride and groom, of course! What a fun and unique idea! The bride’s mom made all the food (traditional Mexican food, just like the couple loves). Nobody left hungry and if they did, it was their own doing, because Mom made some spectacular dishes. 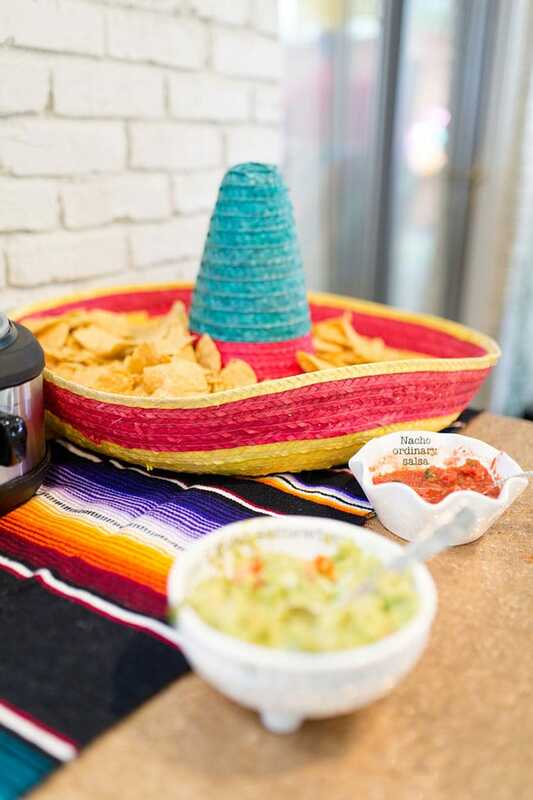 We also love the unique idea of serving the tortilla chips in the brim of the Mexican sombrero. 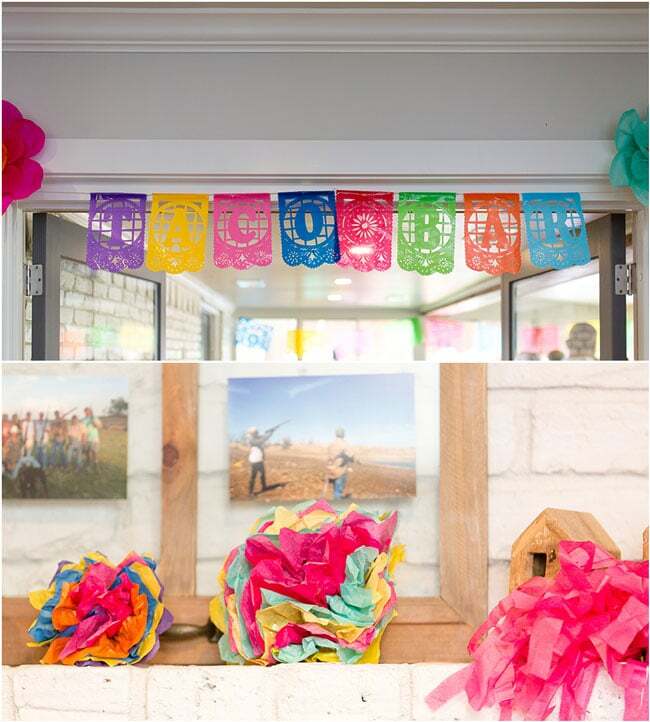 What a fun touch to the Mexican Themed Couples Shower! Traditional chips and salsa at a Mexican Themed Couples Shower? Yes, please! This was an absolute must, especially when the salsa is a homemade legend! What incredible authentic food options for the big day! 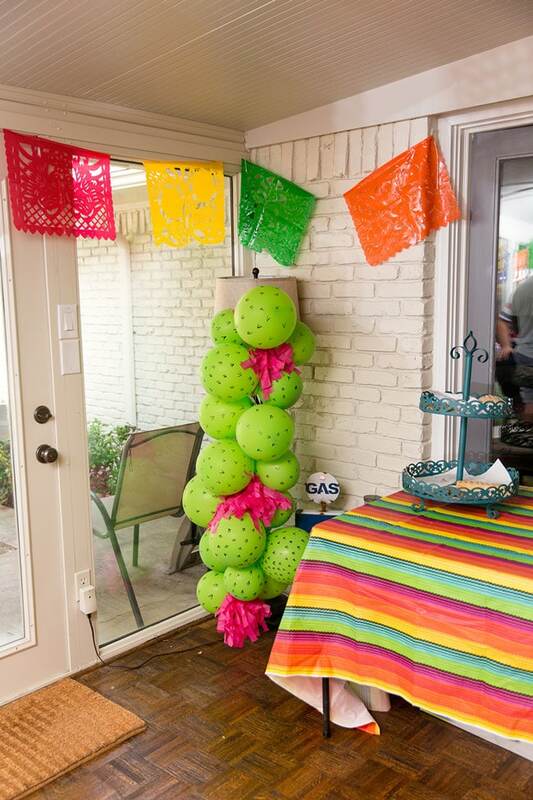 Check out this fun balloon cactus that was found at the Fiesta Bridal Shower! What a fun addition to add to the corner and to give the venue that true Mexican feel. We just love this! 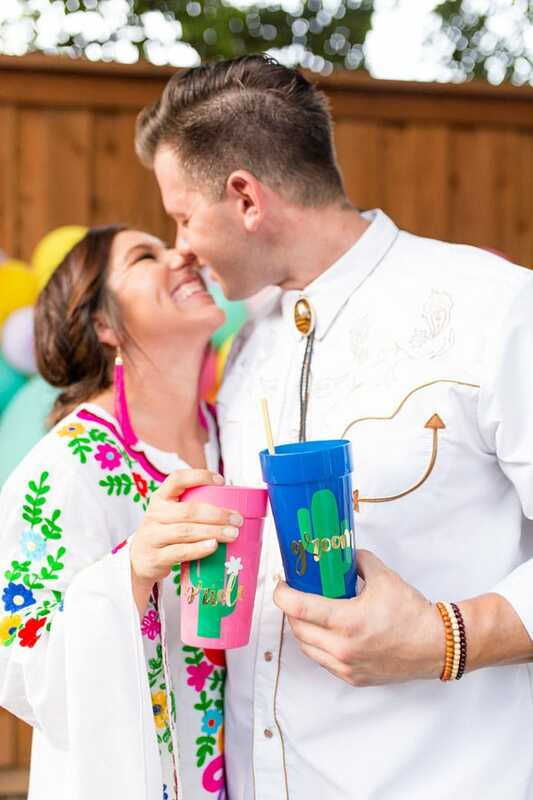 We have a feeling this sweet couple is going to have a lot of fun together in their married life, considering how fun this Fiesta Couples Shower looks! 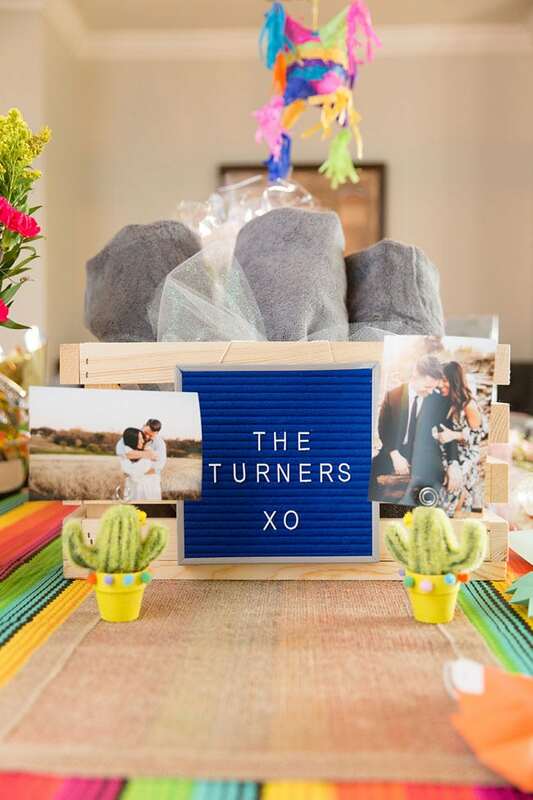 One of our favorite additions to this Fiesta Bridal Shower was the idea for the “guest book” that was used. 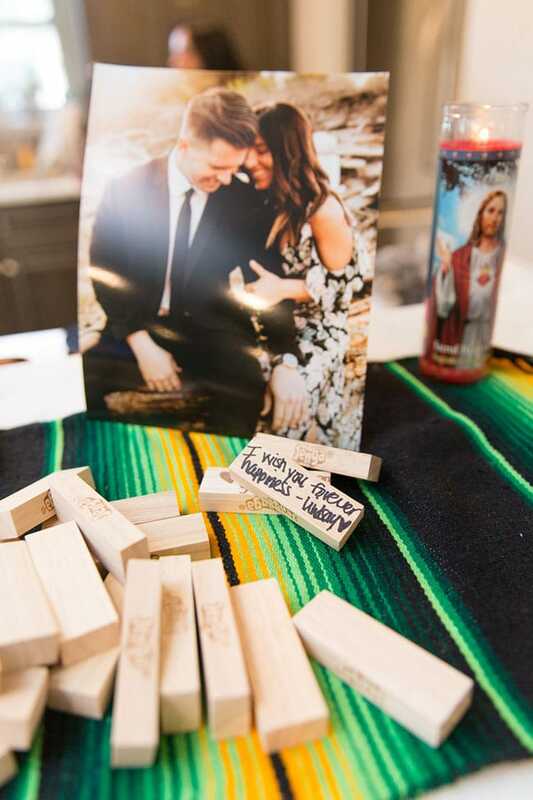 They had everyone sign Jenga game pieces, along with a quick word of wisdom for the happy couple. What a fun thing to have as the years pass by to look back on. This will be a favorite for them for many years to come! What a fun, full of love, table setting with a true Hispanic flair. Nothing was missing at this Fiesta Bridal Shower! 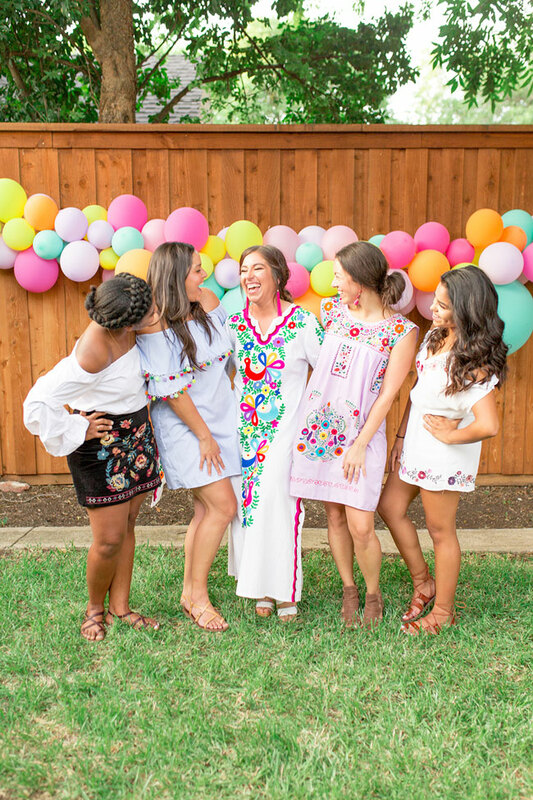 From the homemade balloon garland to the gorgeous hand-embroidered Fiesta Bridal Shower Dress the bride wore from Indiola, every part of the shower was intentional, full of love and family, and quite the fiesta! 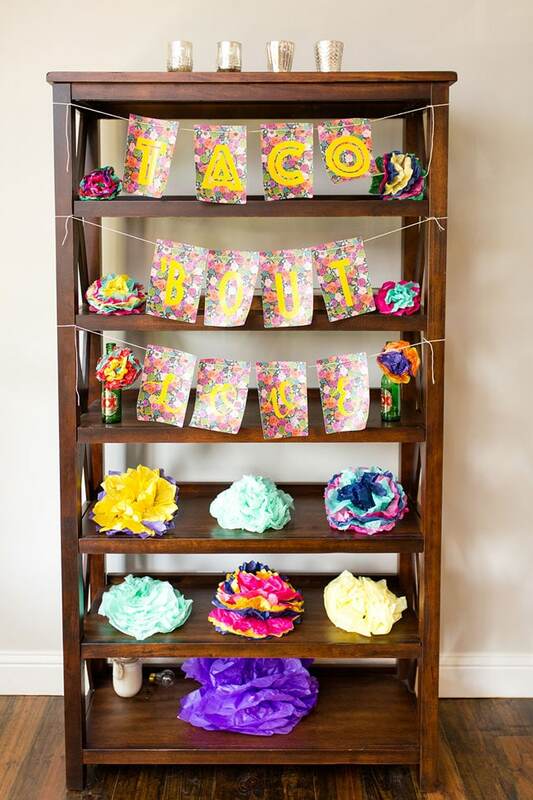 All of the beautiful Fiesta Bridal Shower Ideas that were incorporated were absolutely perfect! The shower was extra special because it was the first time their families were meeting, and everyone came together to celebrate this beautiful couple’s relationship and upcoming marriage. It was a true Mexican Fiesta Bridal Shower celebration! The ladies had a wonderful time working on planning details for the wedding, along with simply enjoying each others’ company. And of course, the guys enjoyed some time together, as well. What a happy and fun time in a young woman’s life, especially when it is shared by friends and family! At the end of the day, it was clear that this couple had a special relationship that was only going to continue to blossom in the years to come. 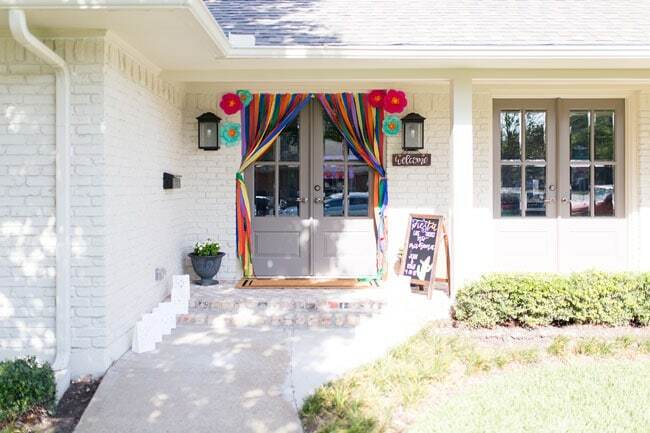 Congratulations on this amazing Fiesta Themed Bridal Shower and we can’t wait to see what type of fun ideas are incorporated into the wedding! 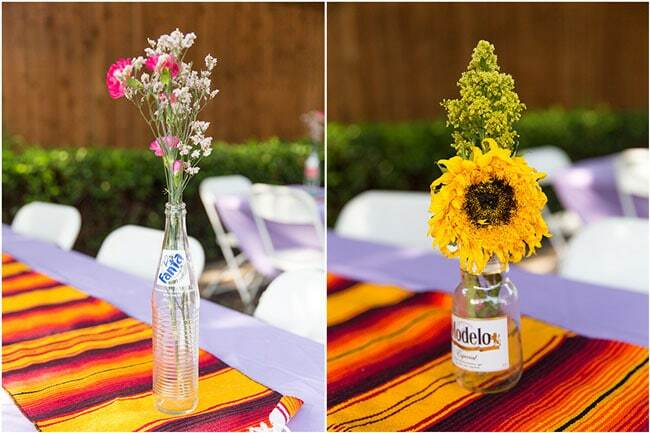 What’s your favorite details in this Fiesta Bridal Shower? Let us know in the comments below!